I’ve never been a fan of canned cranberry sauce, part of it I’m sure is because I don’t eat cranberry with my turkey. It’s all about the gravy for me, I may have mentioned that before. But I do love to make this awesome and easy cranberry chutney and use it as an appetizer, with some set aside for those who want to enjoy it with their turkey. It’s not quite as popular as my cheese ball but I really enjoy the tart sweet combo and of course, it’s served with cream cheese so it has to be delicious. I tried it once with brie, cream cheese is definitely better. The original recipe is found here. I made some adjustments for my own tastes. This year I used a bag of cranberries I froze last year and while it still tasted great after I picked out the ones that were freezer burnt, I think from now on, I’ll just buy a new bag when I need them since I only make this for the holidays. 2. Store in the refrigerator. 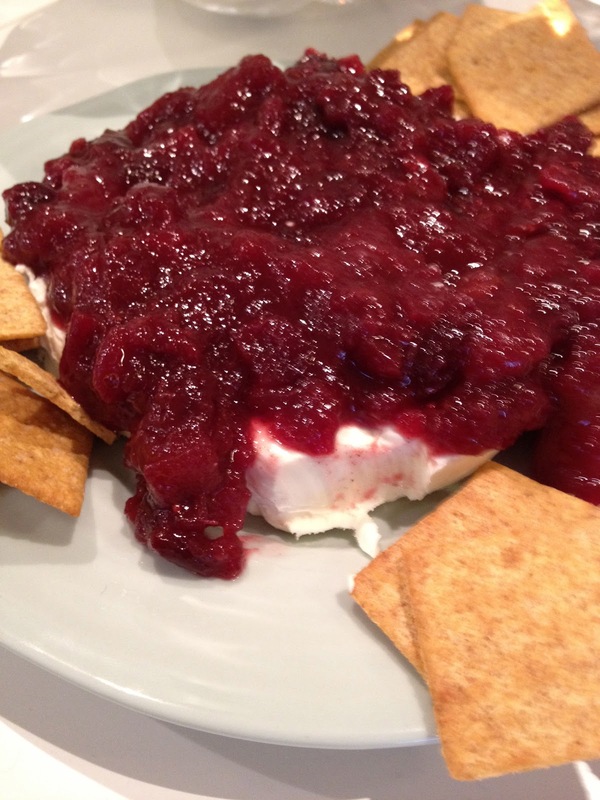 Serve over cream cheese with crackers or as a condiment with turkey. While cooking this your home will smell like the holidays. Just posting about this recipe makes me want to cook up a batch to enjoy.